My behaviour strongly influences the behaviour of others towards me. Any “right” I may have can only exist if the behaviour of others is, at worst, not opposed to my exercise of the right. 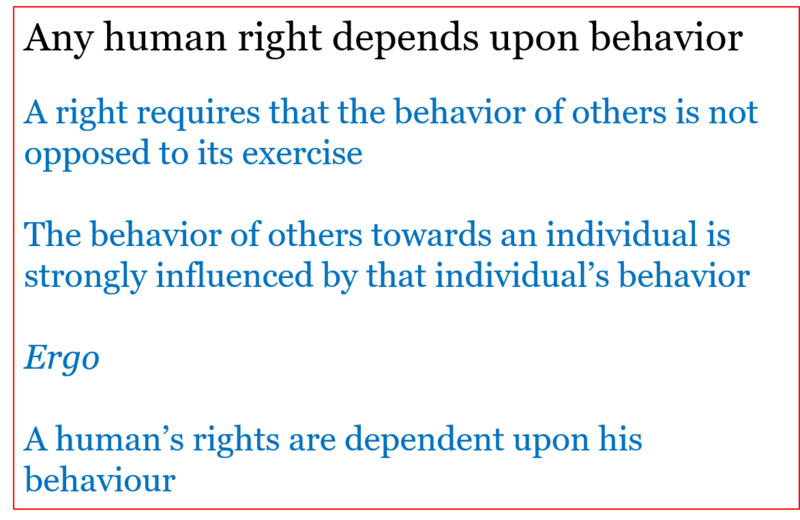 Any “rights” I may have are dependent upon my behaviour. This entry was posted on March 20, 2018 at 4:13 pm and is filed under Behaviour. You can follow any responses to this entry through the RSS 2.0 feed. Both comments and pings are currently closed.